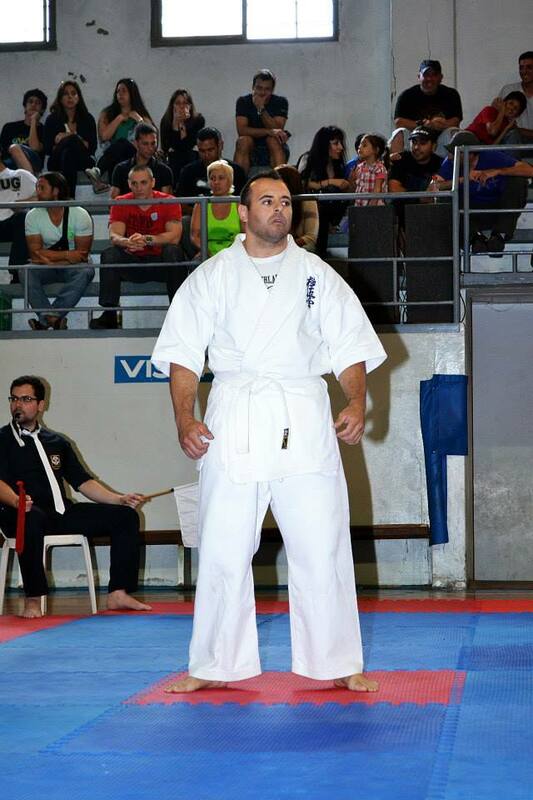 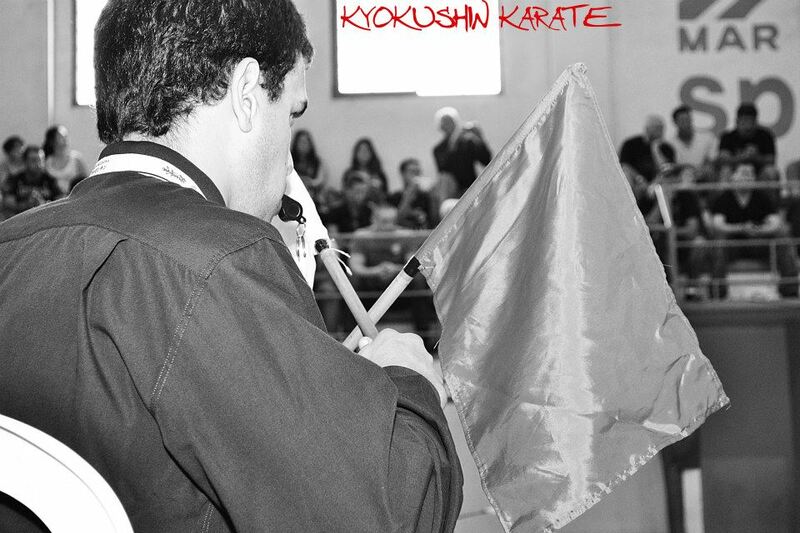 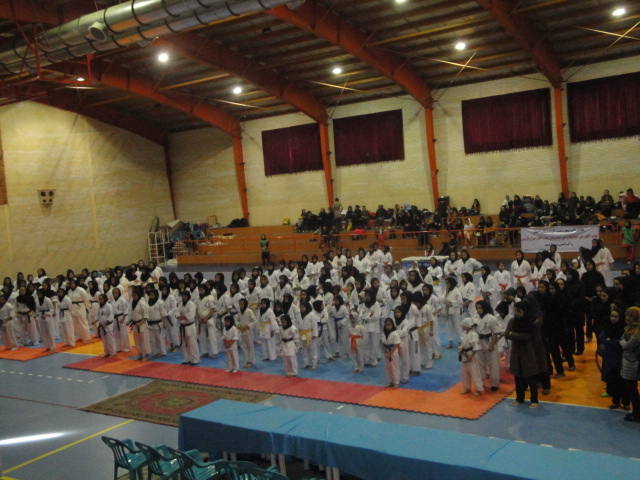 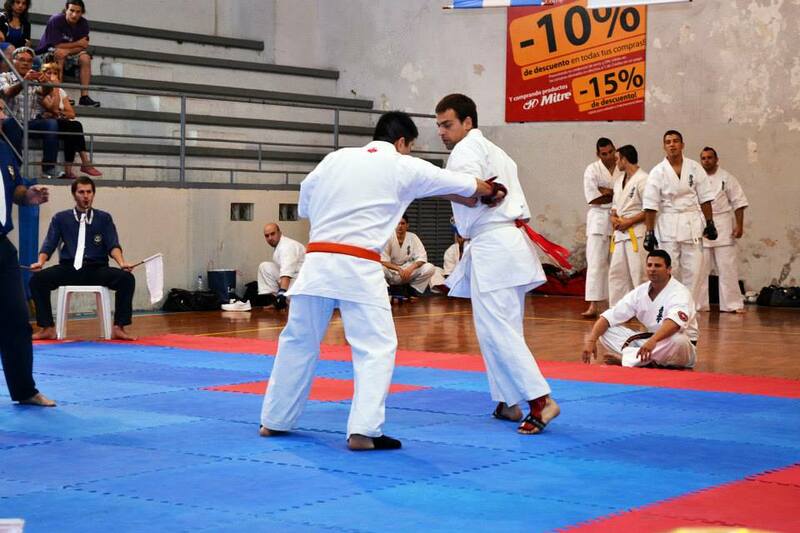 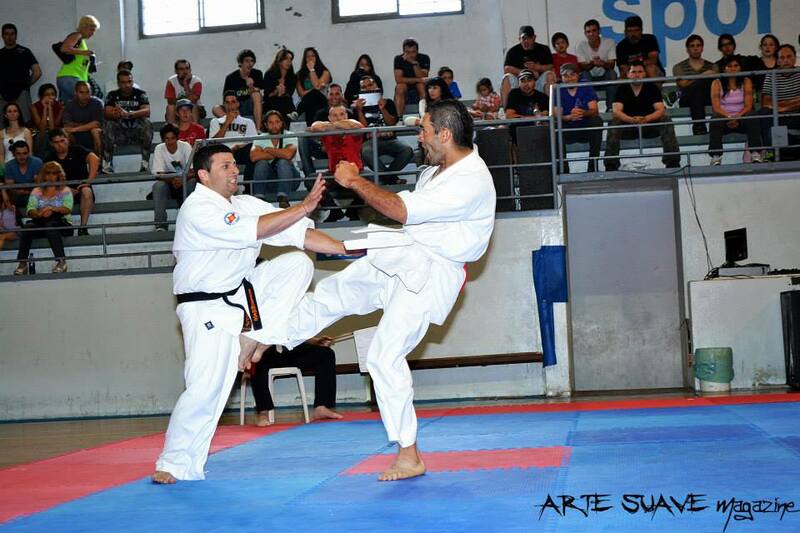 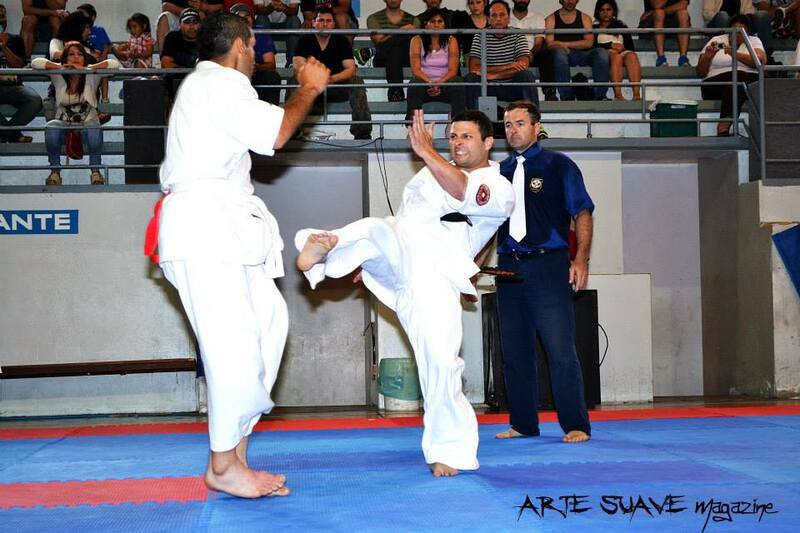 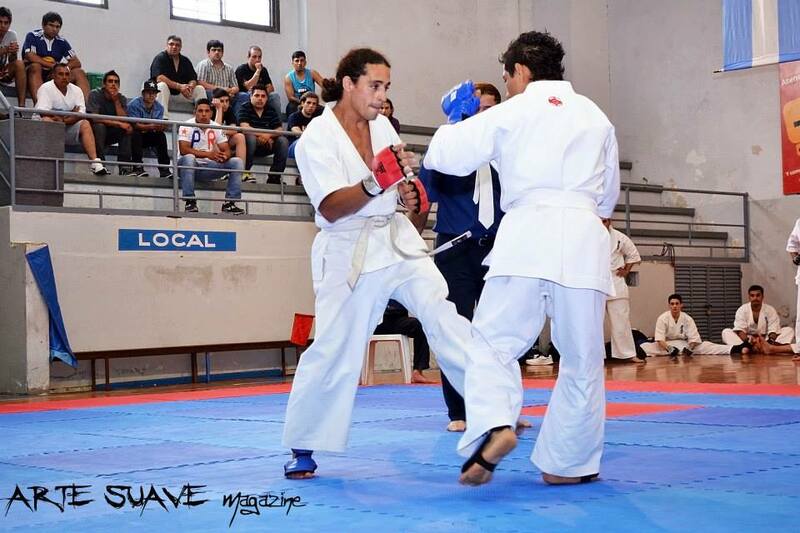 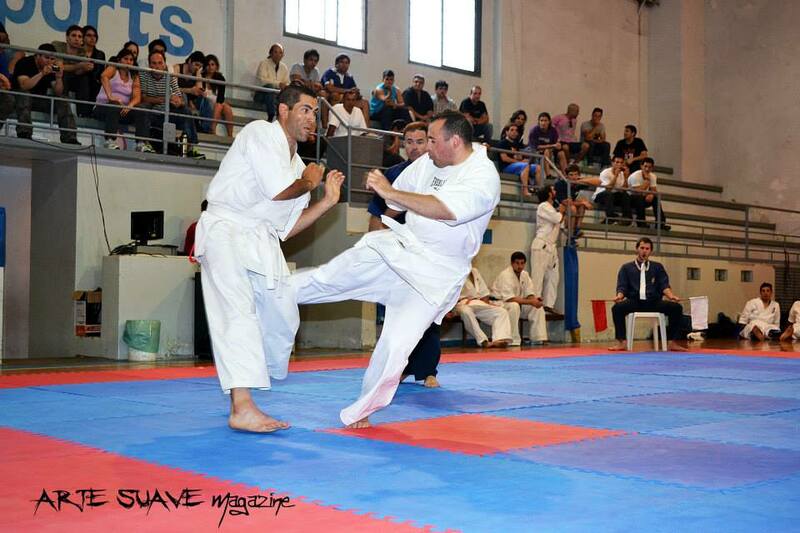 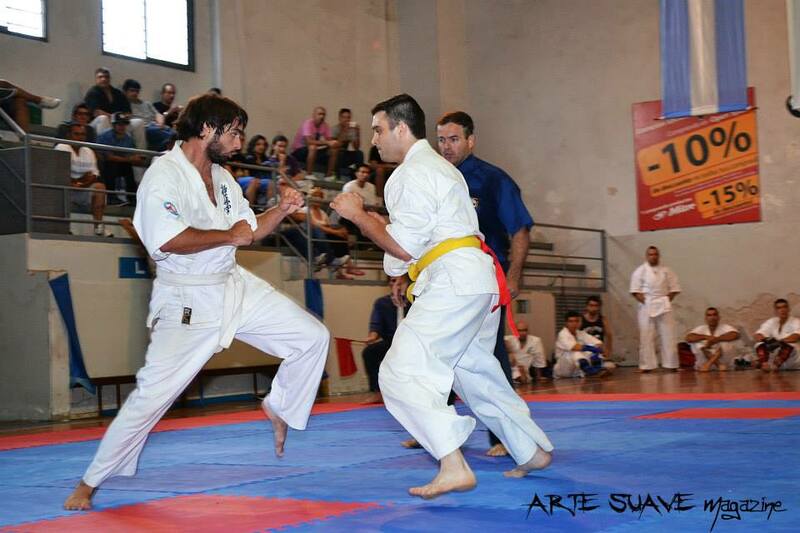 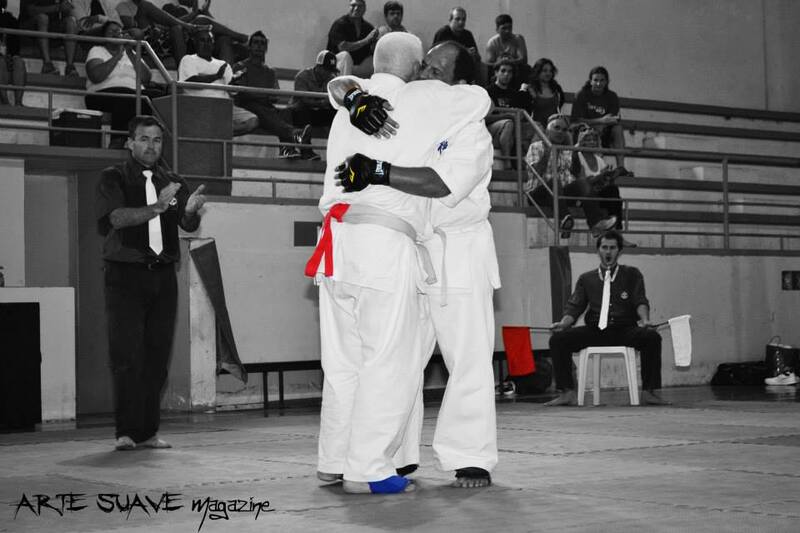 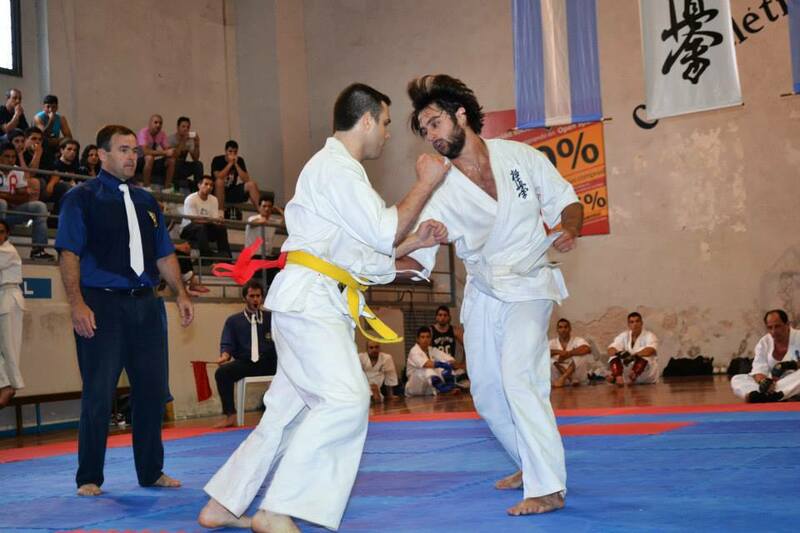 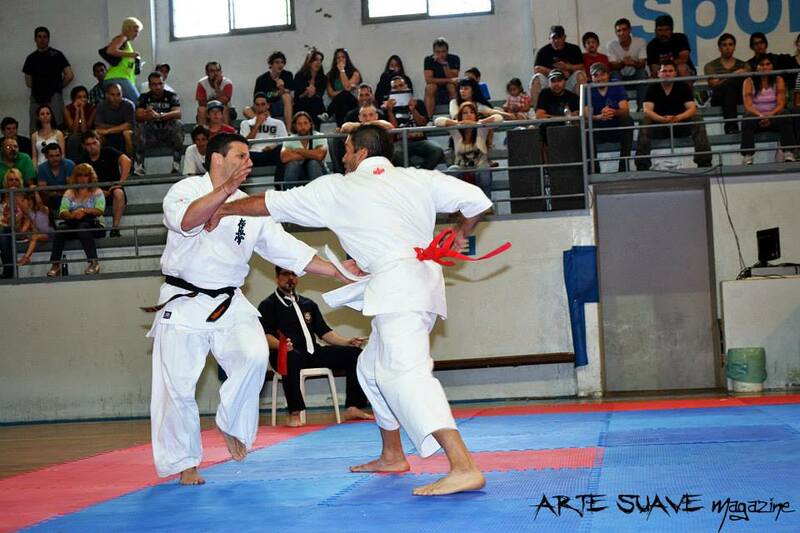 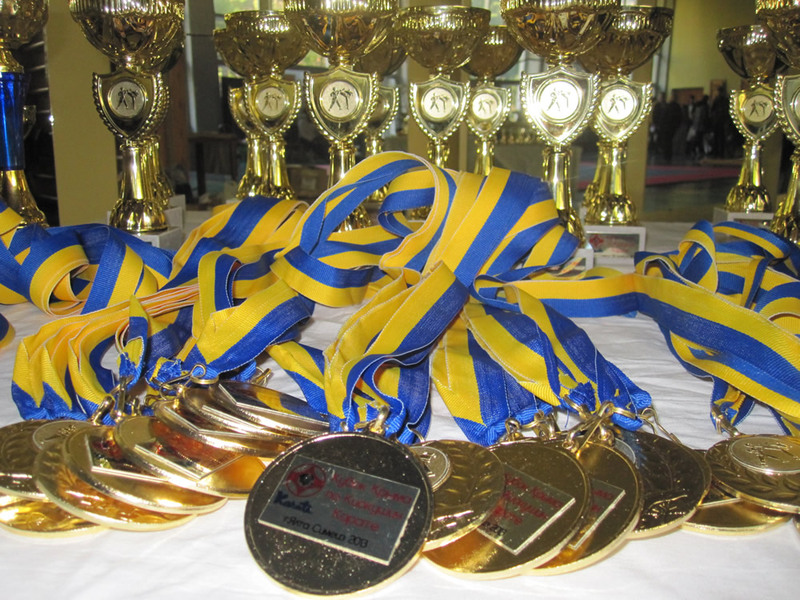 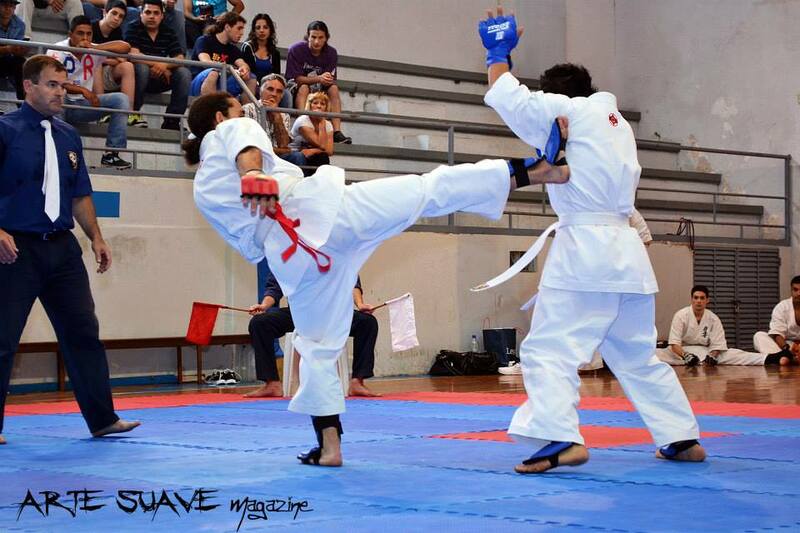 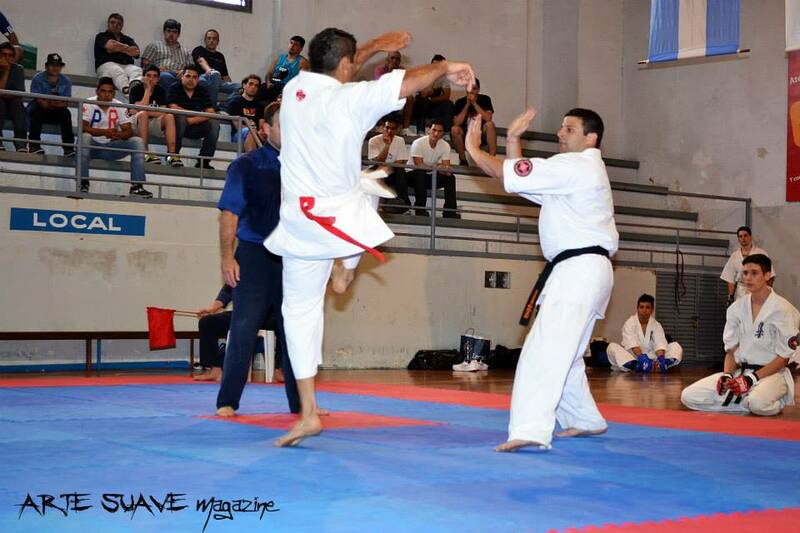 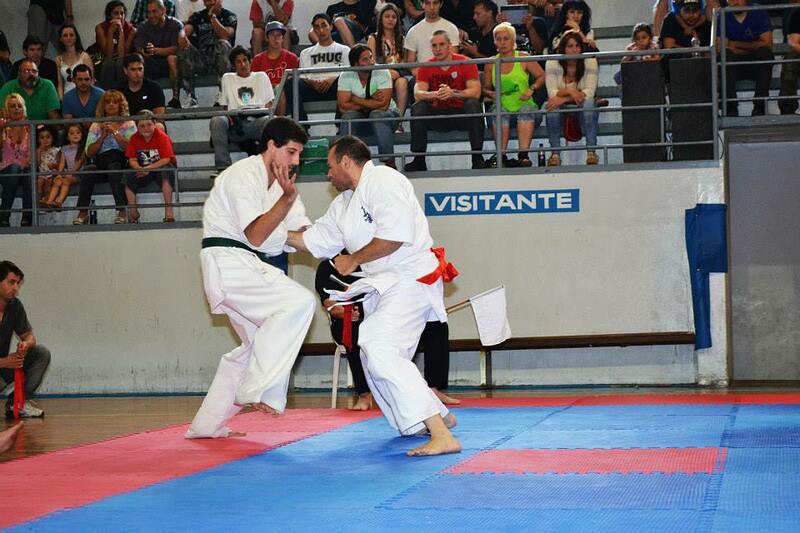 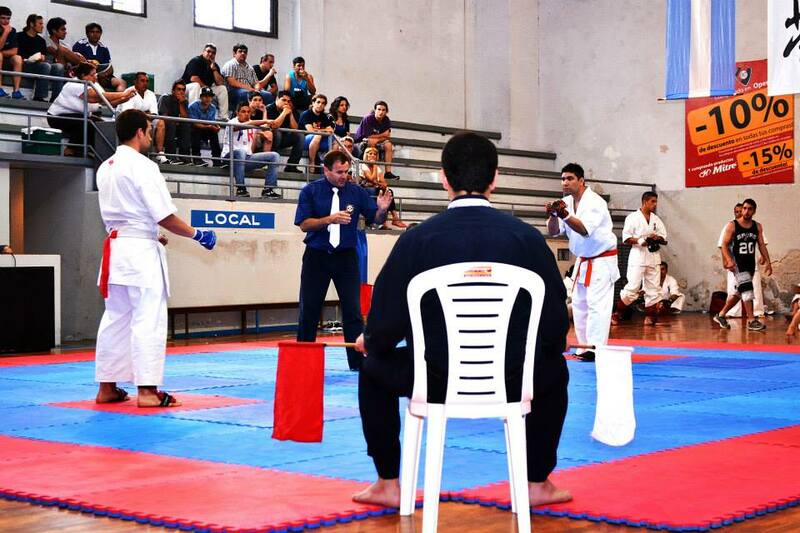 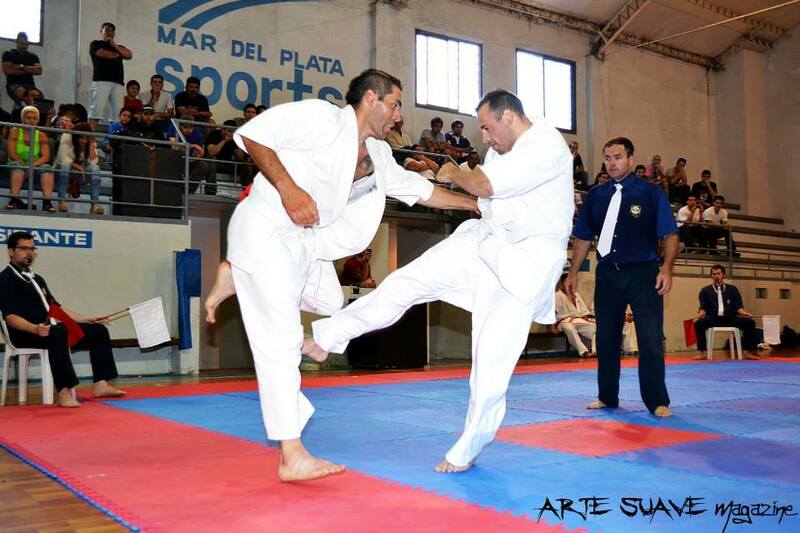 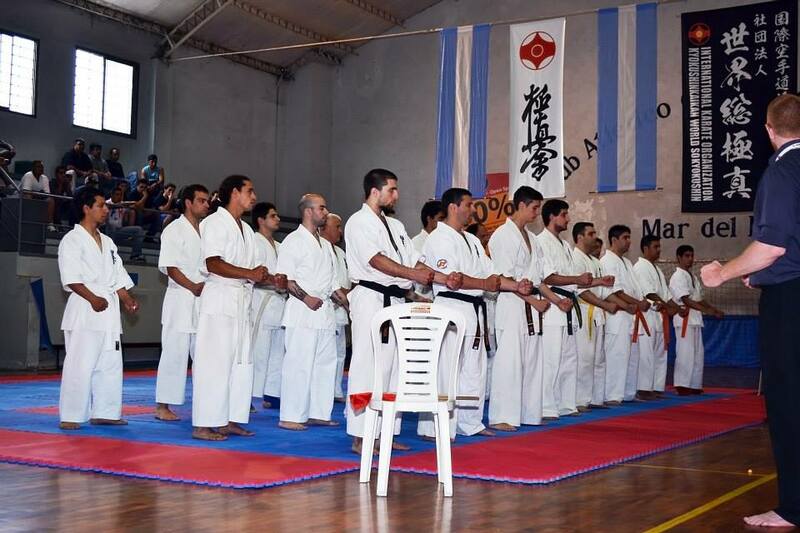 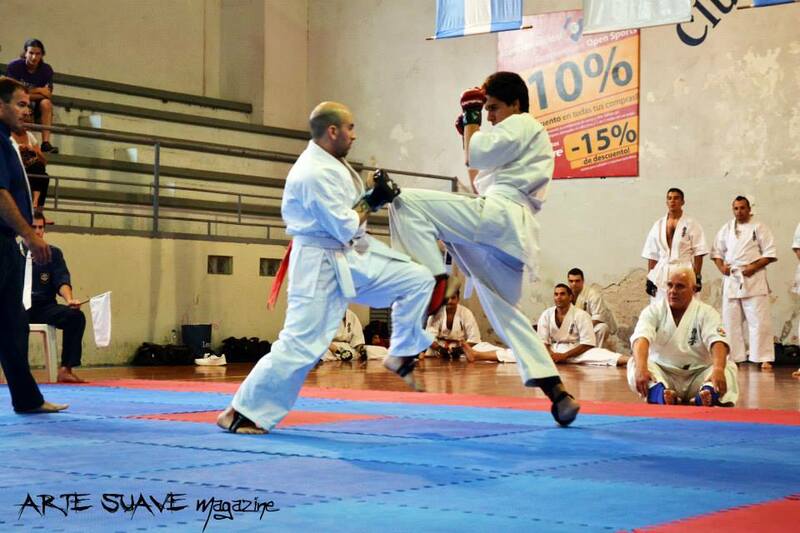 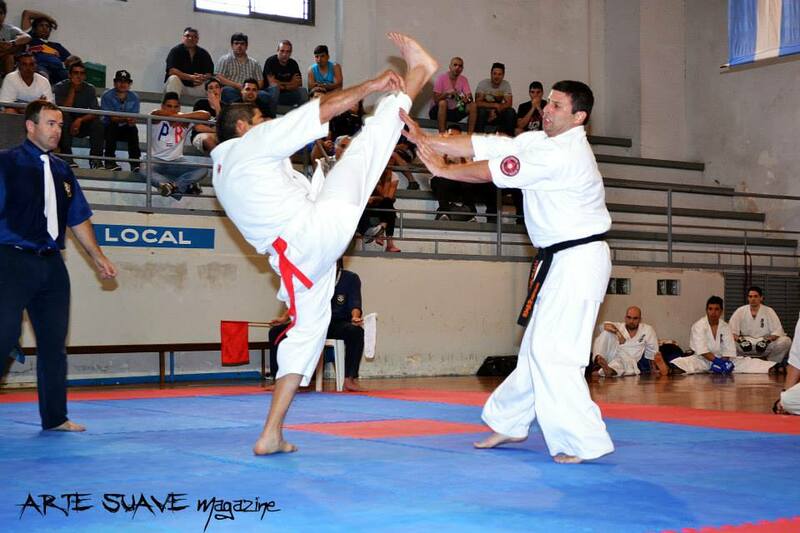 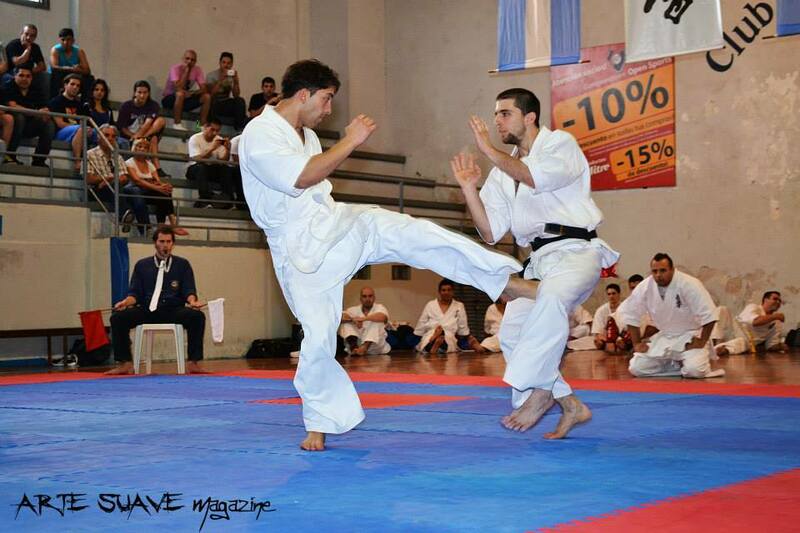 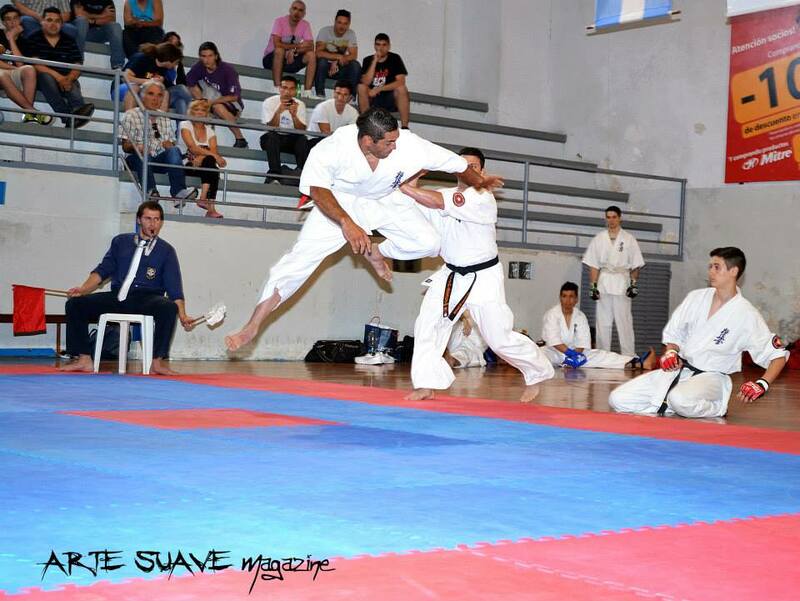 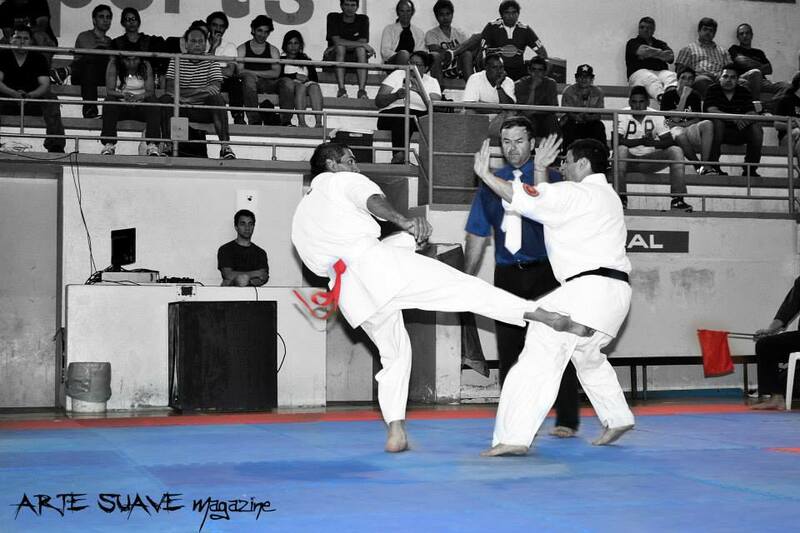 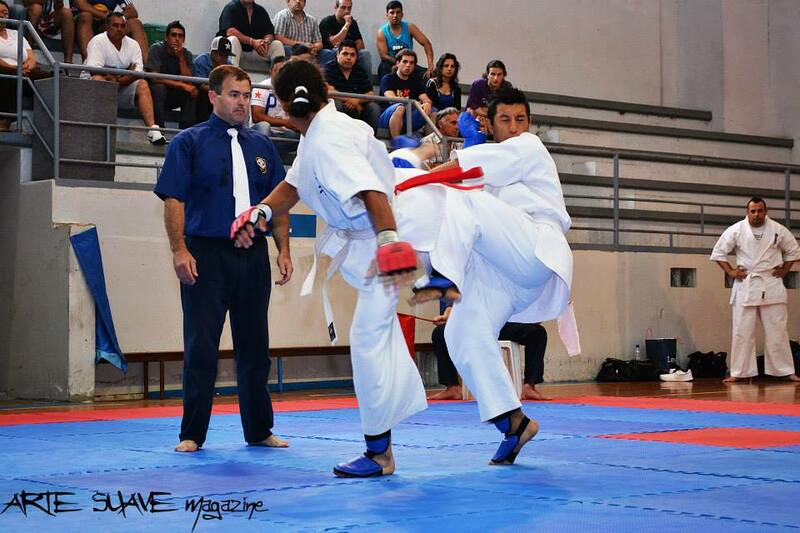 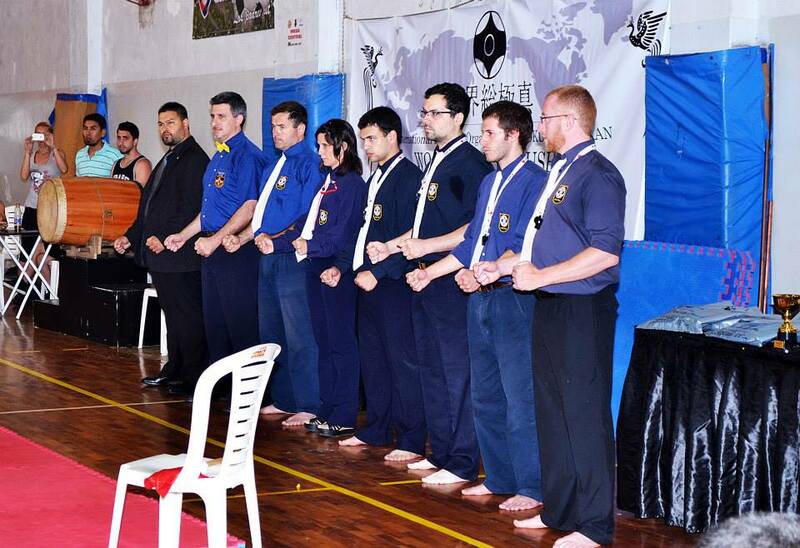 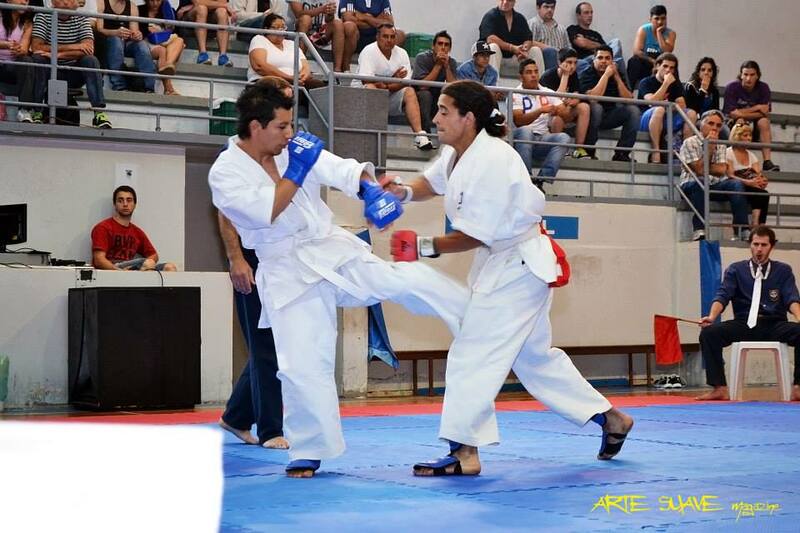 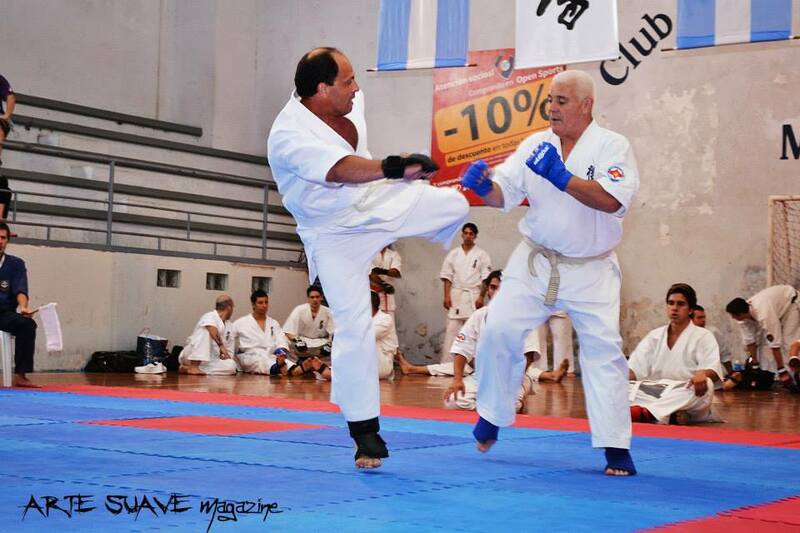 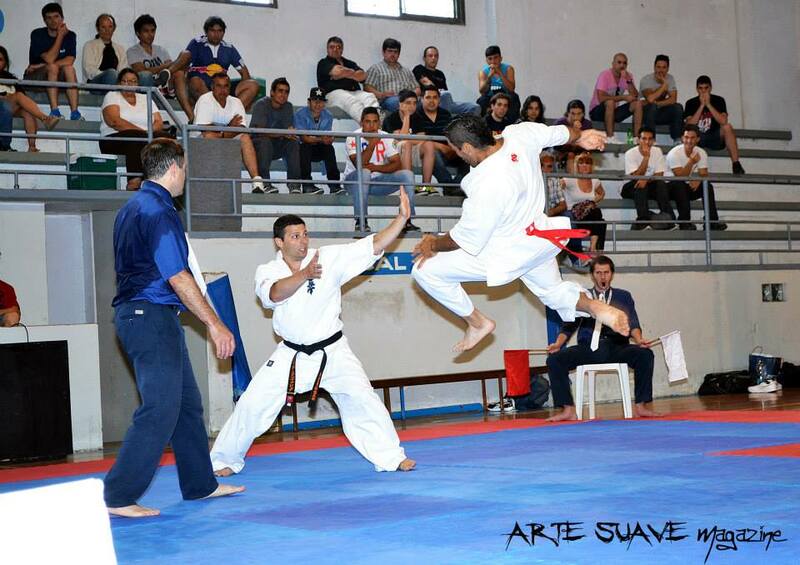 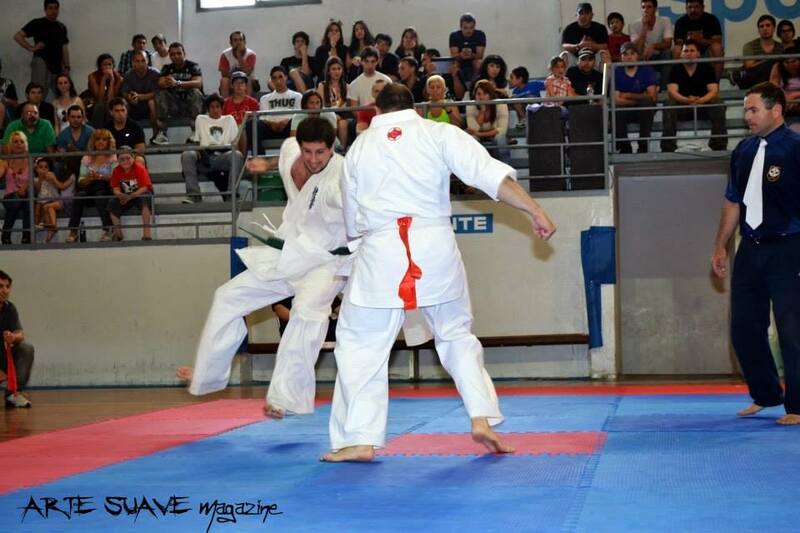 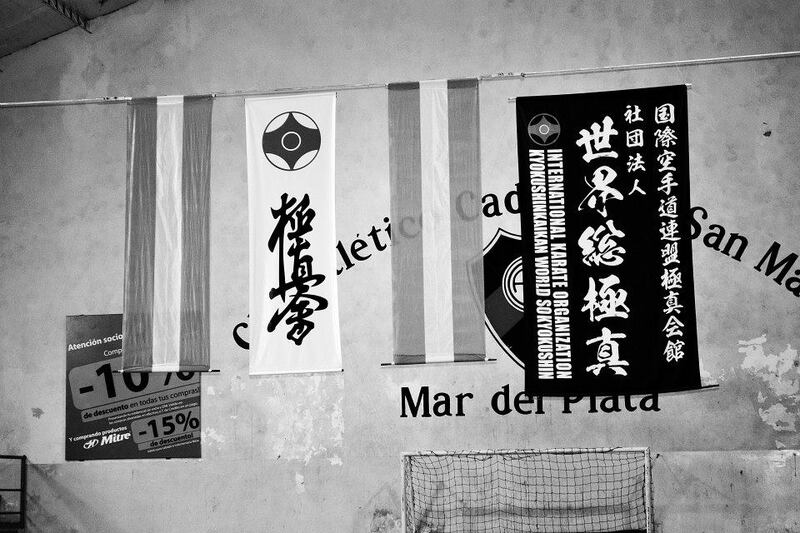 On Sunday November 24th, Mar del Plata Jigoku Dojo subsidiary led by Senpai Luis Fuentes, organized the first Atlantic Cup So-Kyokushin Argentina 2013 with great success, thanks to the efforts and wonderful performance of staff, referees, competitors, sponsors, friends, fans and family who came to cheer on their champions. 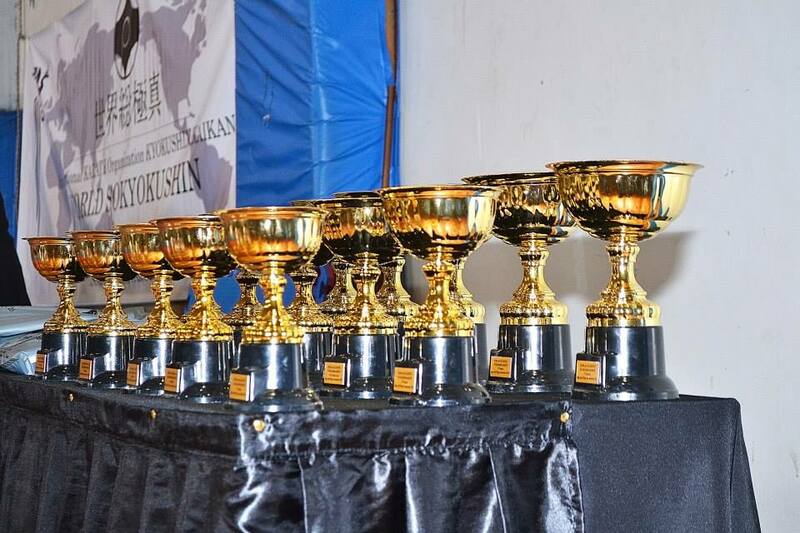 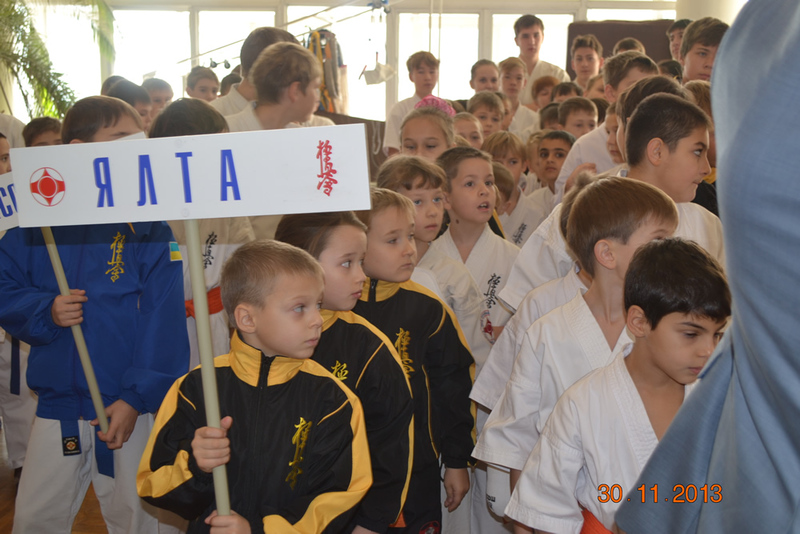 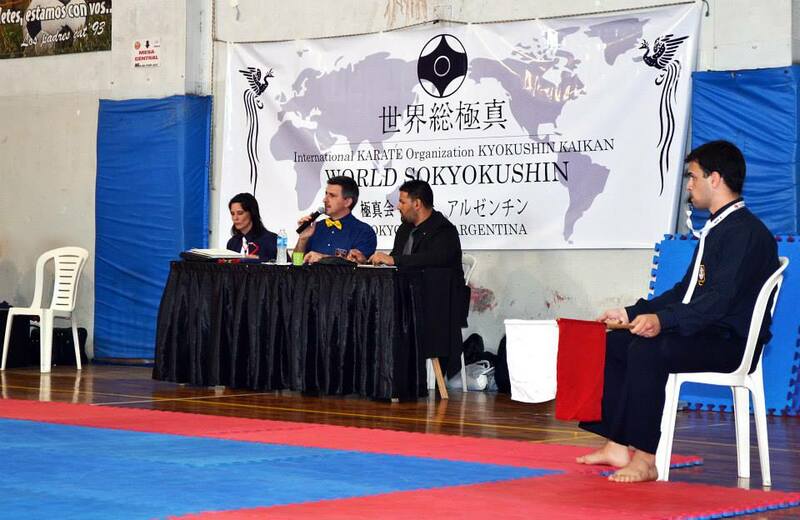 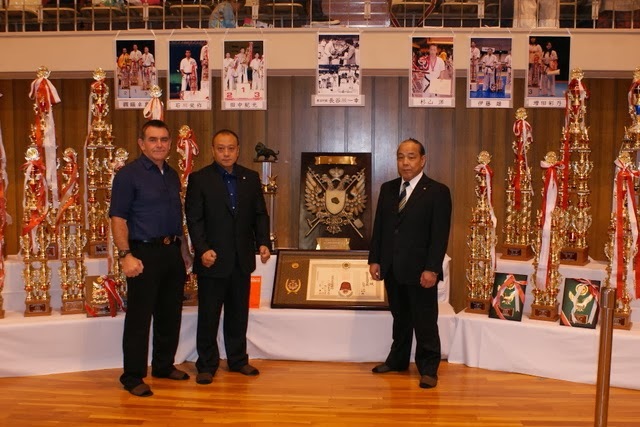 Surely we have witnessed the birth of a tradition: the new Atlantic Cup joins the two traditional Kyokushin Cups Argentina, the "Oyama Cup" and "Oishi Cup." 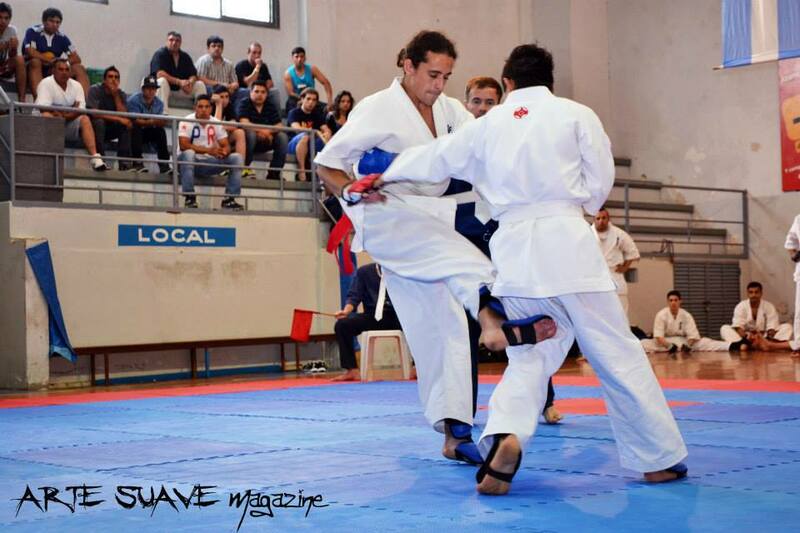 Second Place: Santiago de la Cruz. 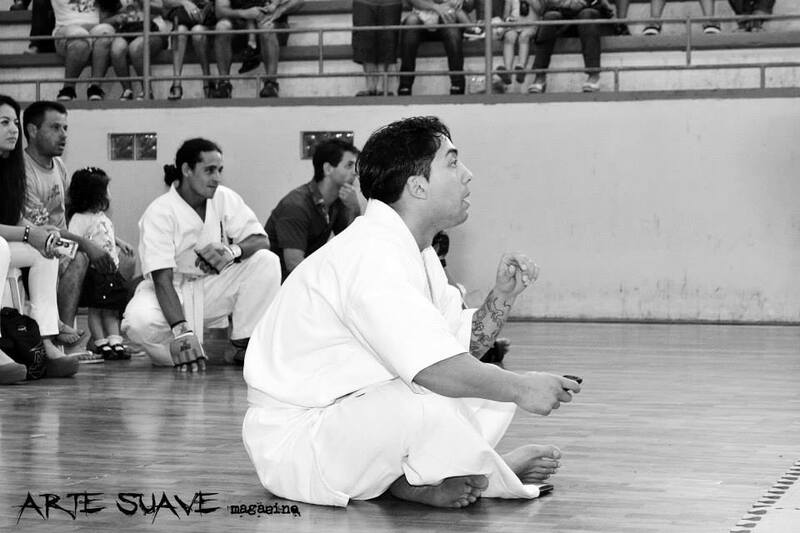 Tema for the part 2 of the seminar was also self-defense in different variations, standing fighting and little bit also on the ground. 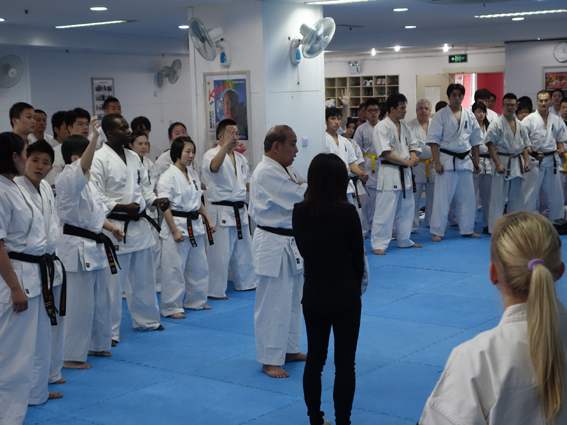 We had also a class with kata where Shihan told us about important point in kata training, example quick moving and difference between fast and slow strong movements. 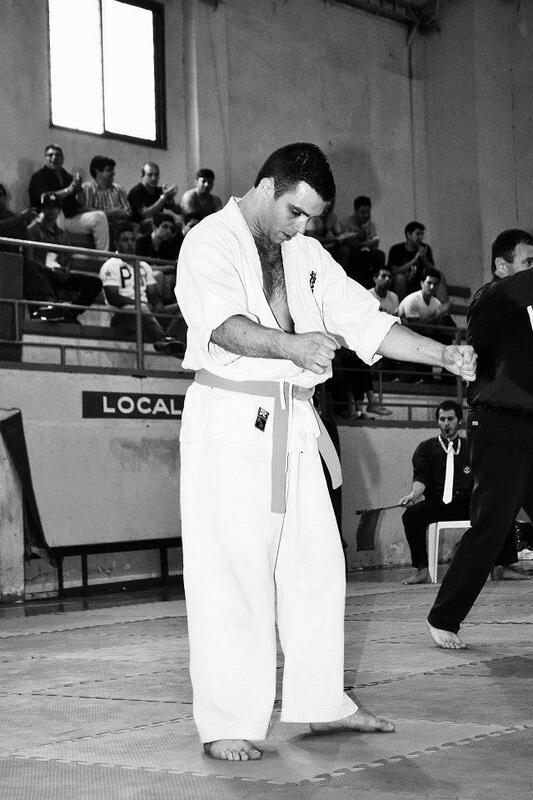 For most of the trainings we wear t shirt and shorts and practiced boxing technics with punches to the head. 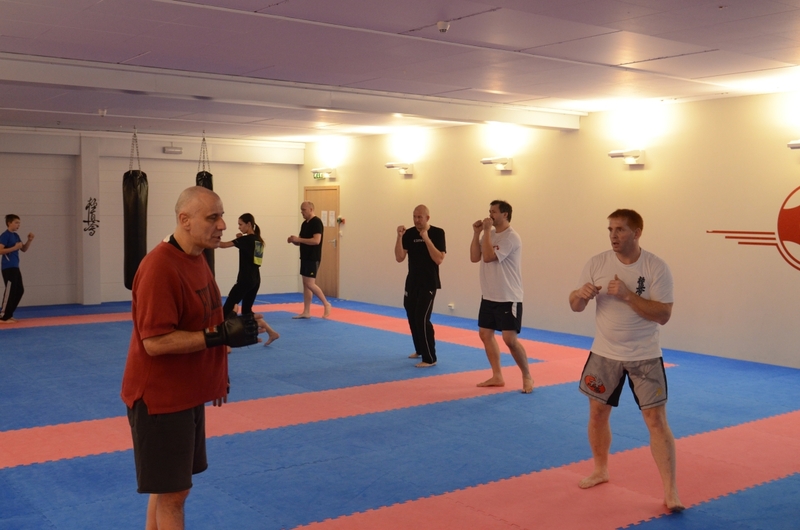 It was a good experience for us wearing boxing gloves and higher guards than we normally do. 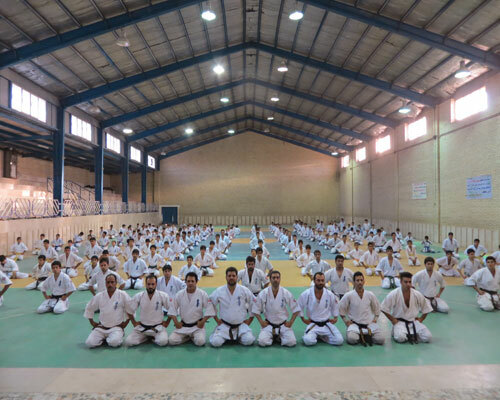 Shihan and Sensei also repeated the dynamic training methods for strength and flexibility as we started on at the first seminar. 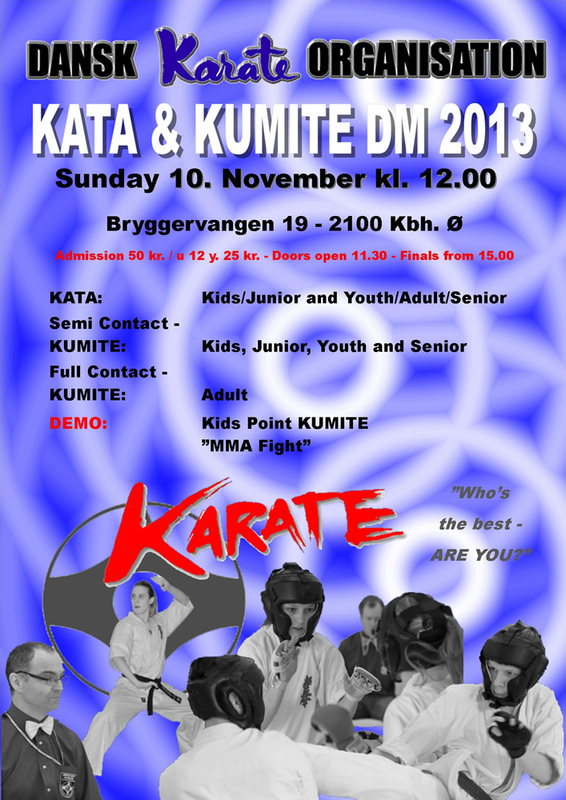 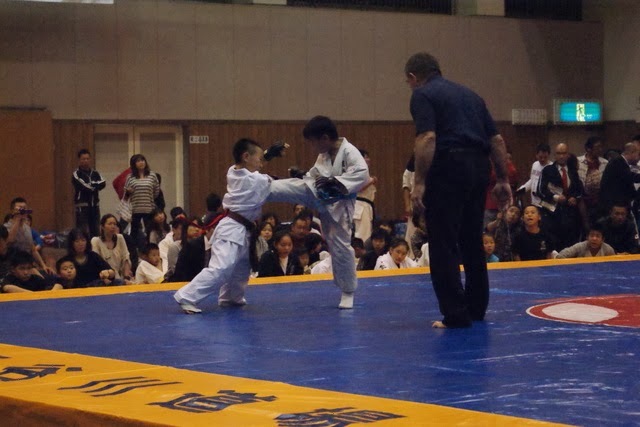 The kumite part was a lot about moving around and blocking Mae geri with jelly hand and counter attack. 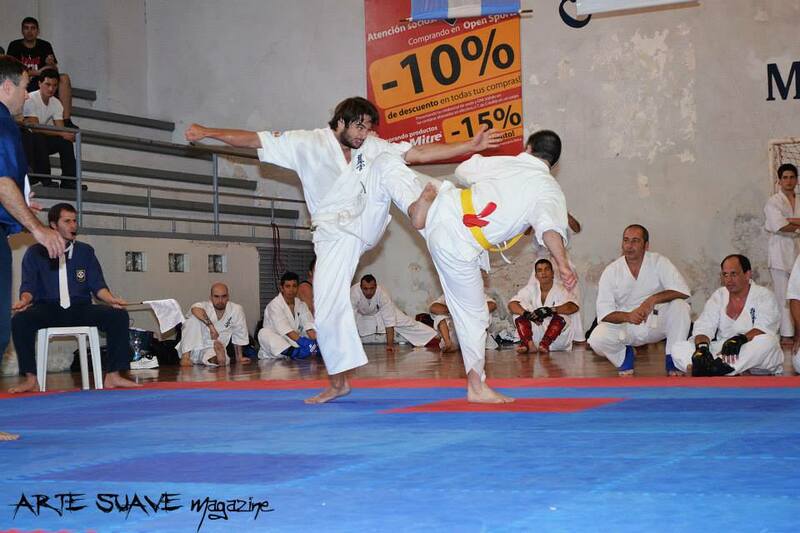 We also worked with block of low kick and moving inn for attack after. 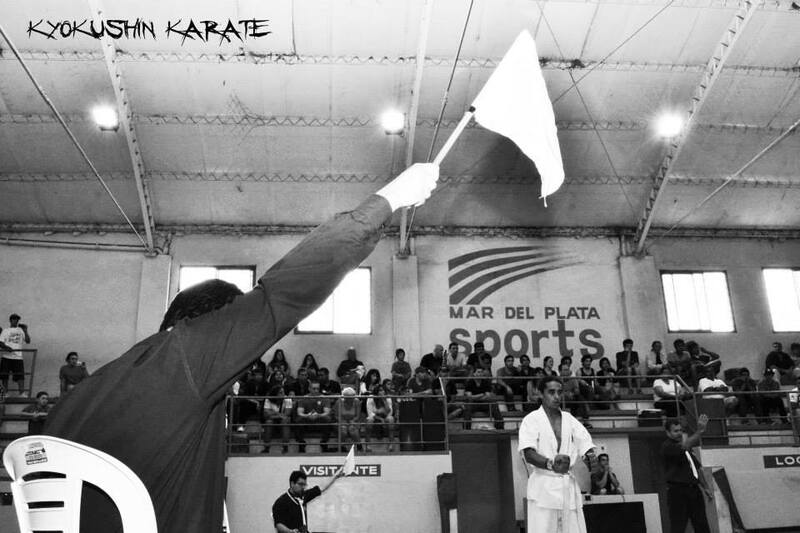 On Sunday after kumite training Shihan and Sensei held a referee course for us, we practiced correct flag movements and we practiced in the fighting area with fighters witch created different situations for the referees. 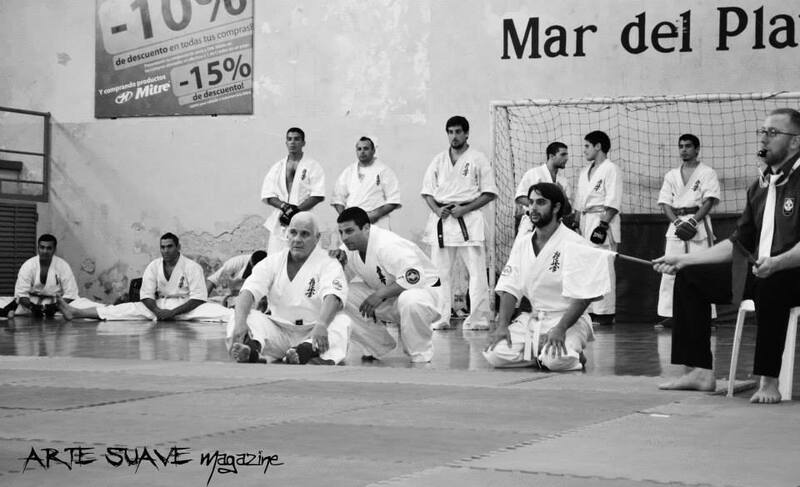 It is a lot to learn in these training sessions for us. 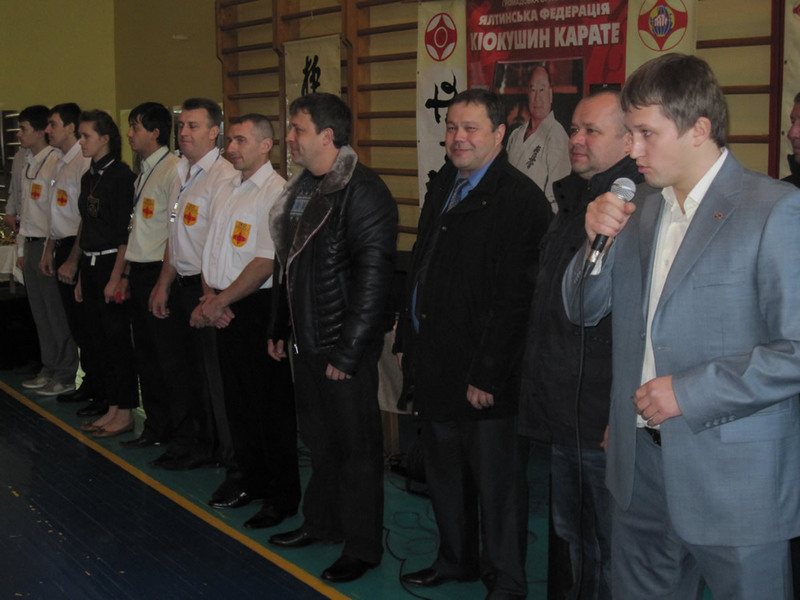 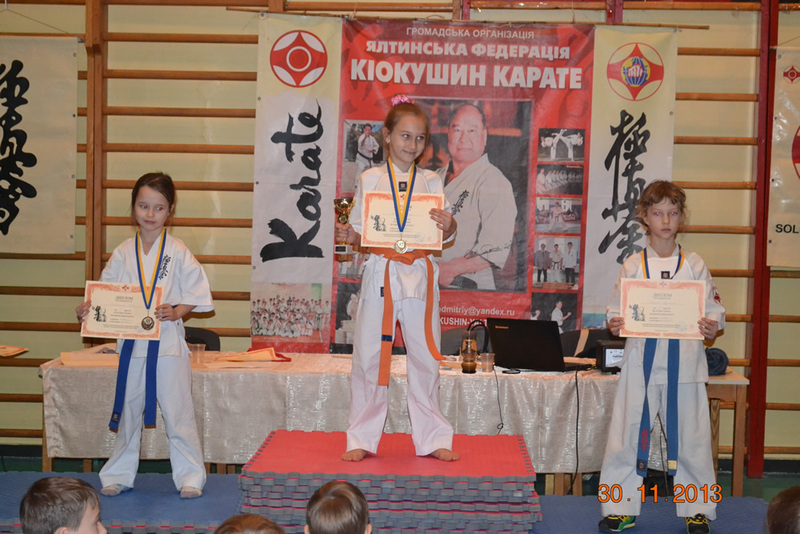 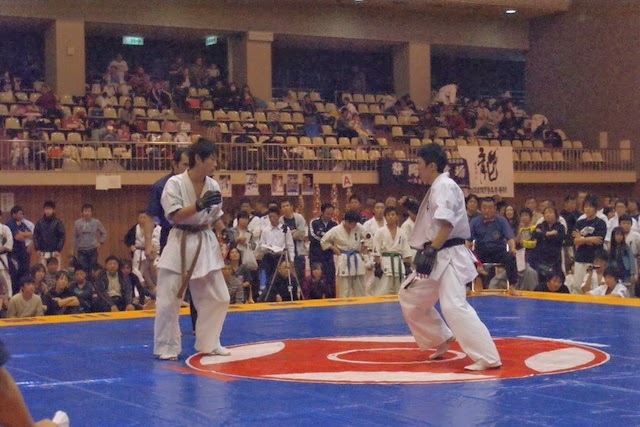 If you want to be a good referee you must know the rules well and practice a lot. 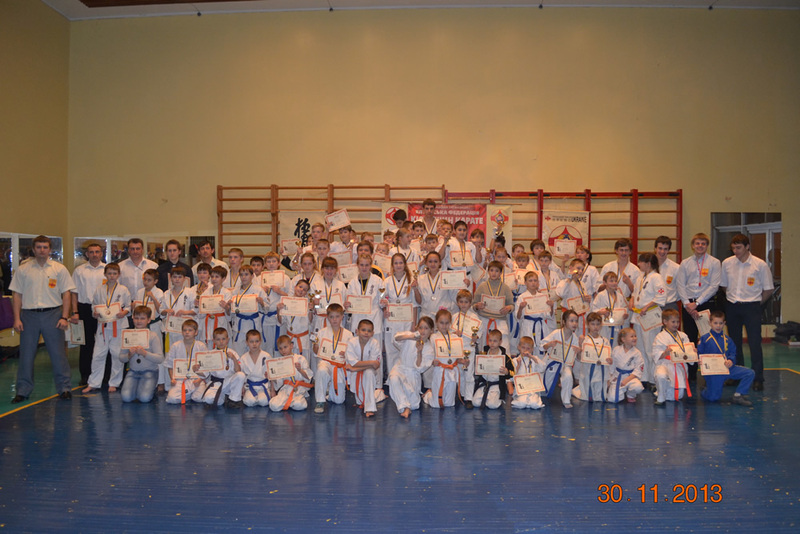 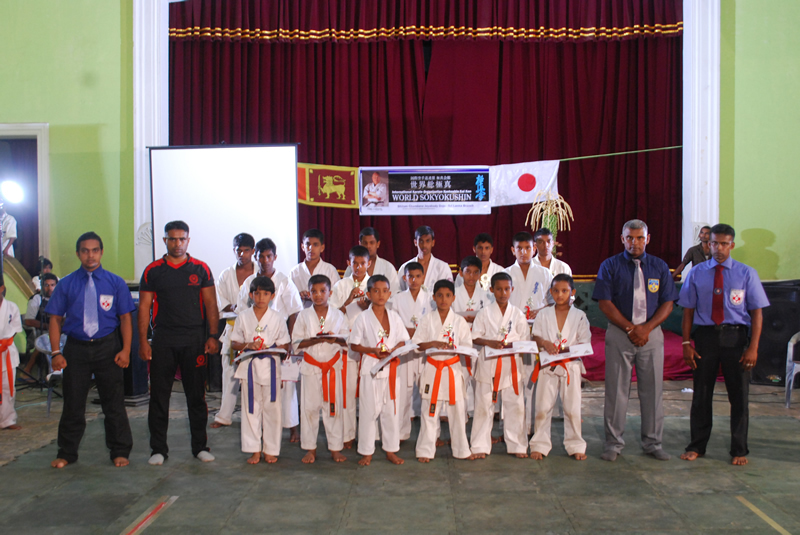 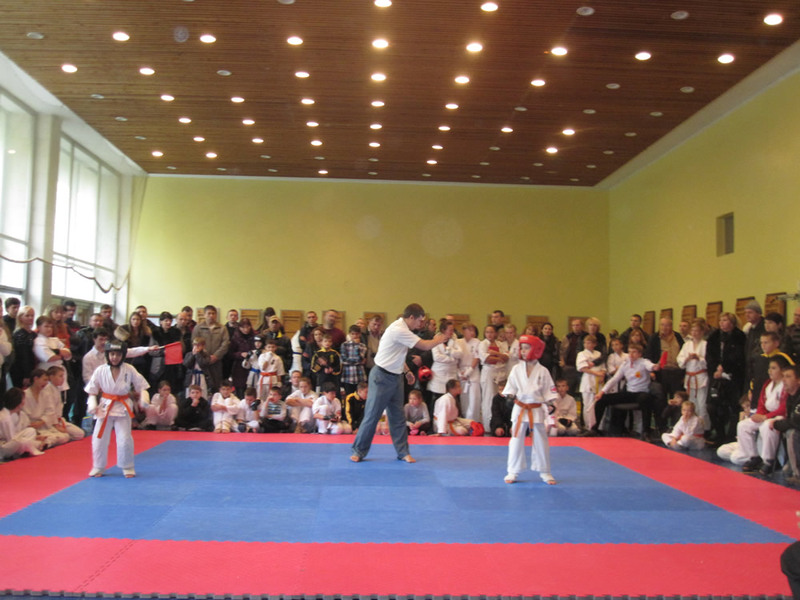 In the end students were happy after this experience; we are looking forward to se Shihan and Sensei in our dojo again. 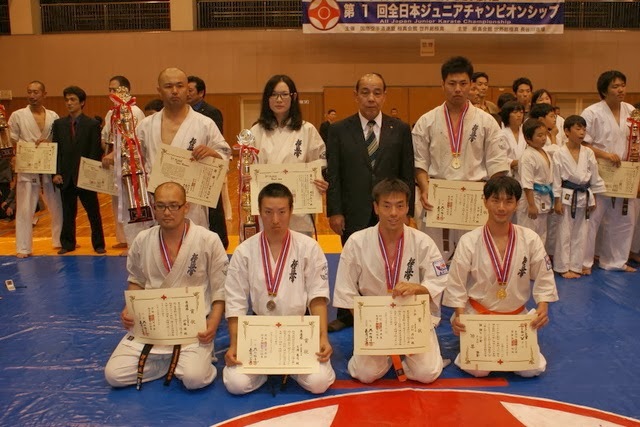 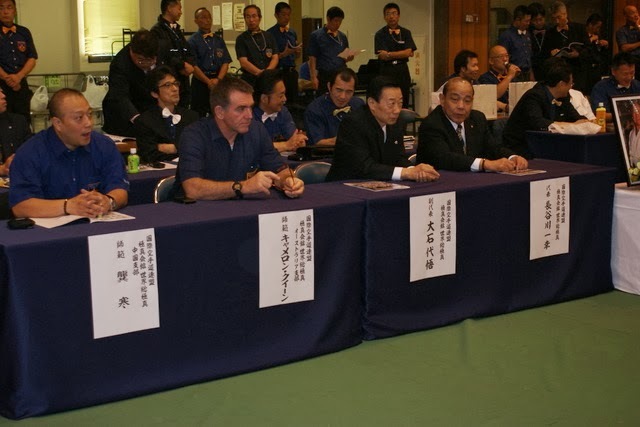 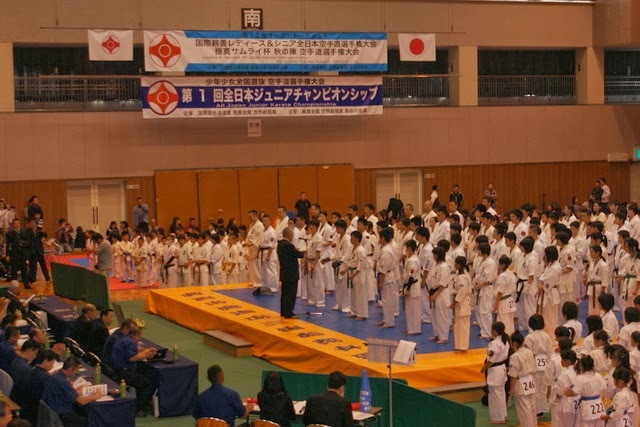 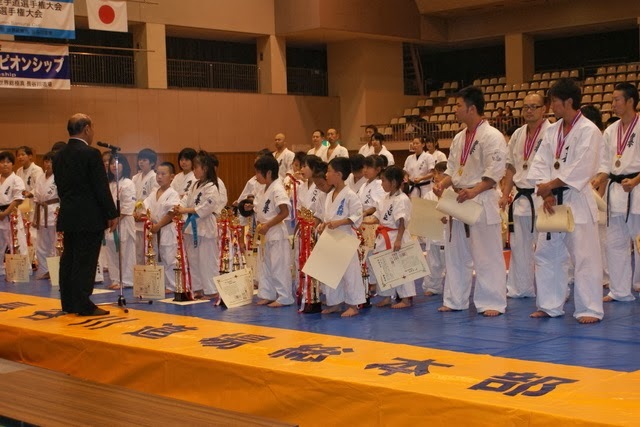 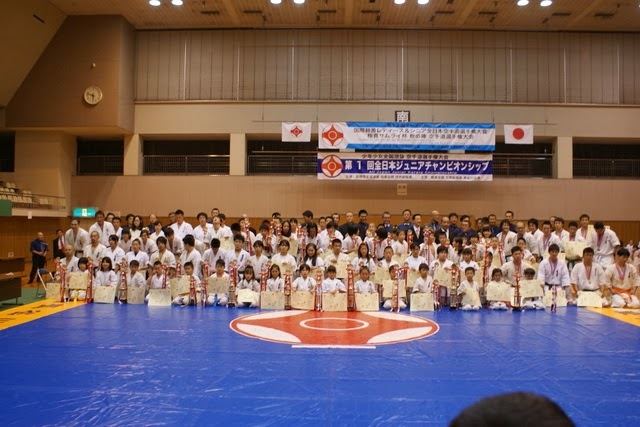 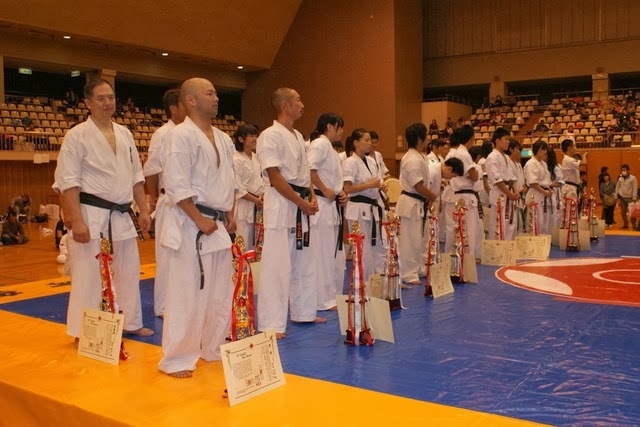 It is a demonstration movie of Grand Shihan Master Daigo Ohishi that has been carried out in The 9th Gifu Prefecture Kyokushin Karate Championships. 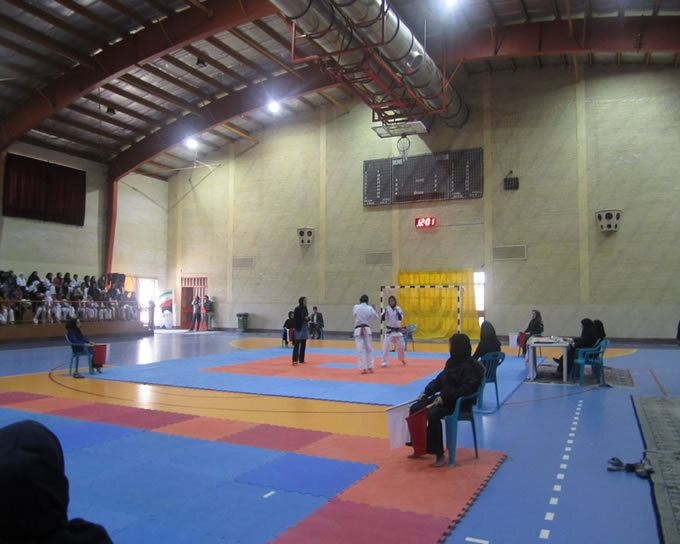 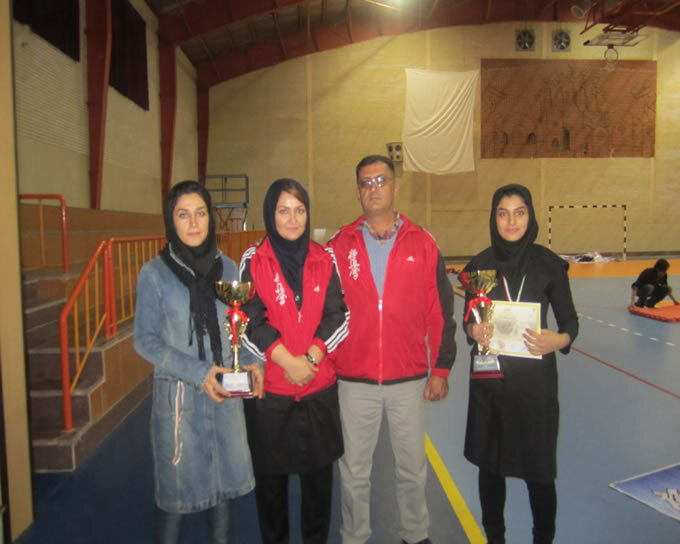 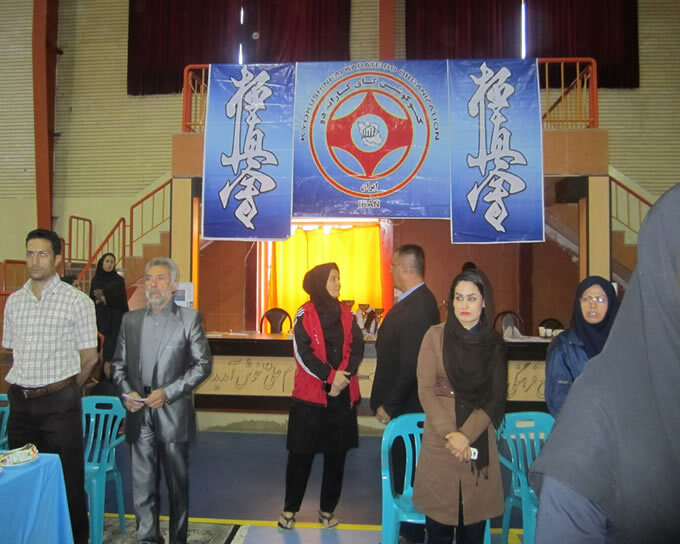 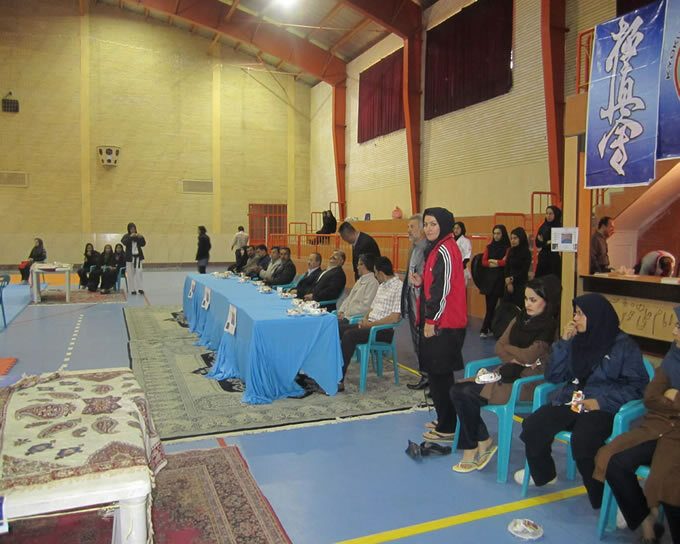 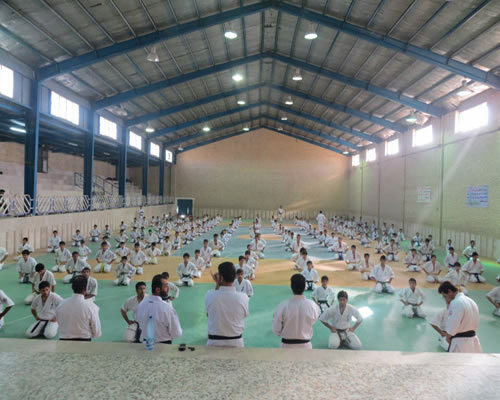 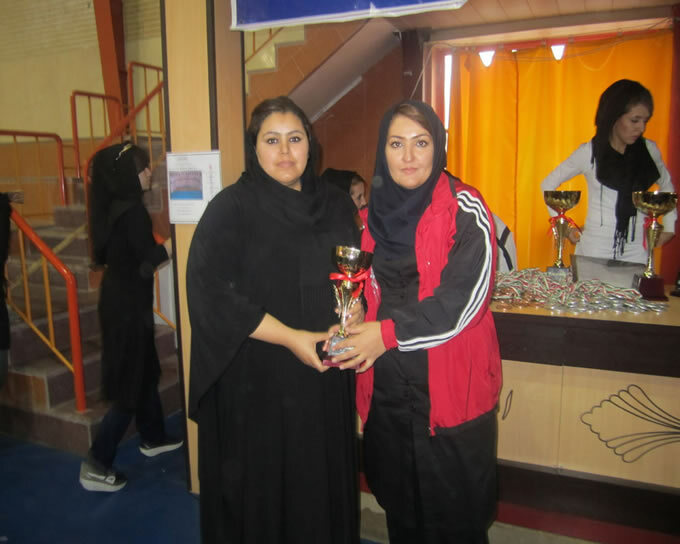 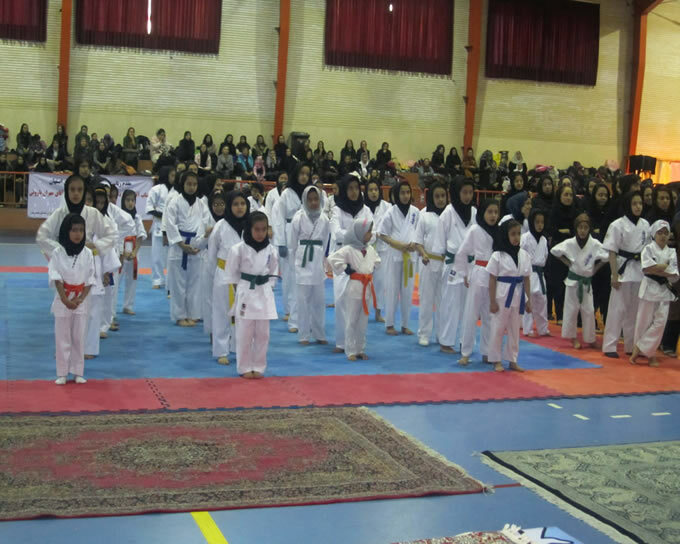 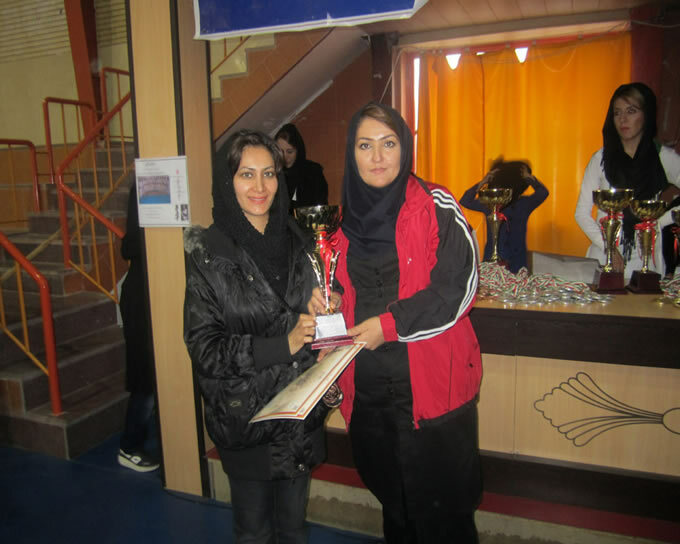 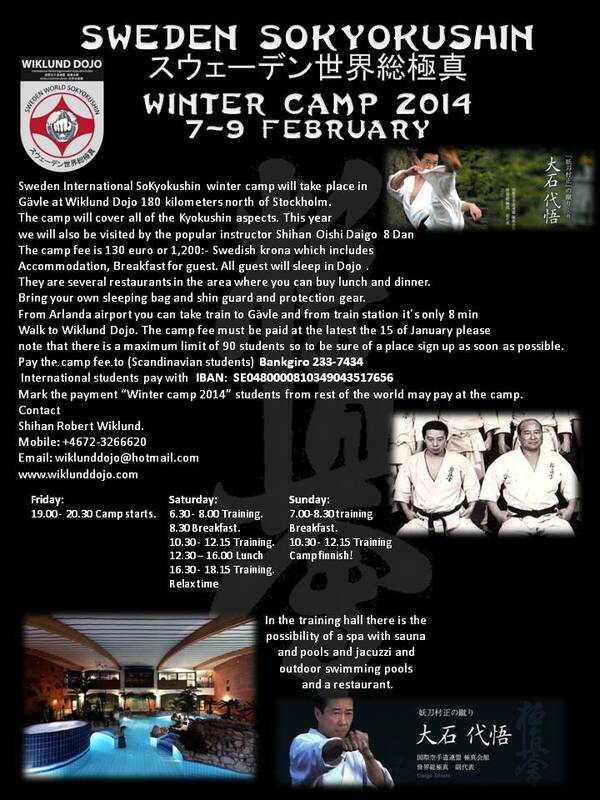 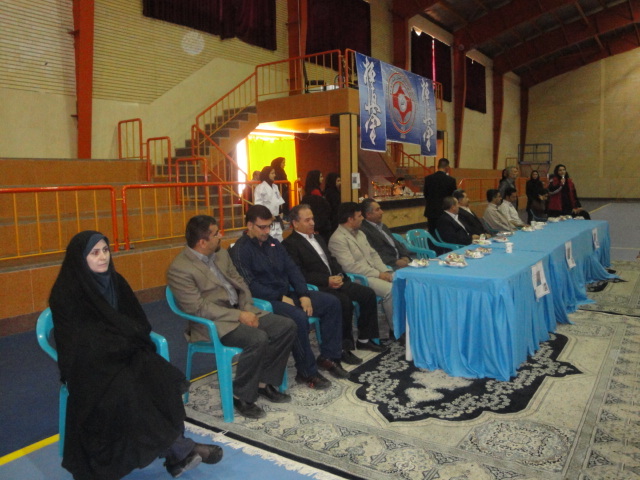 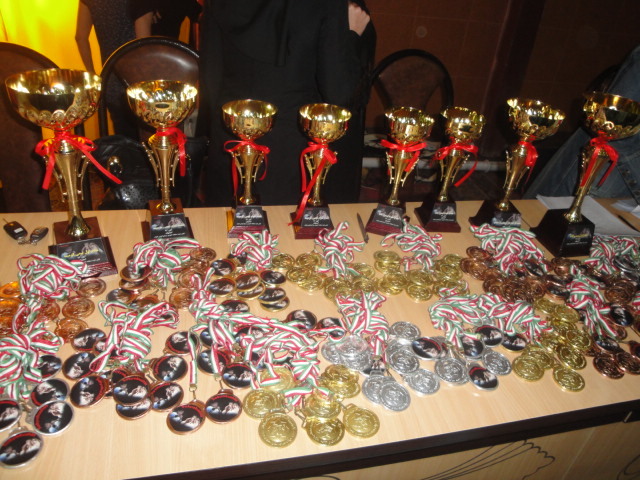 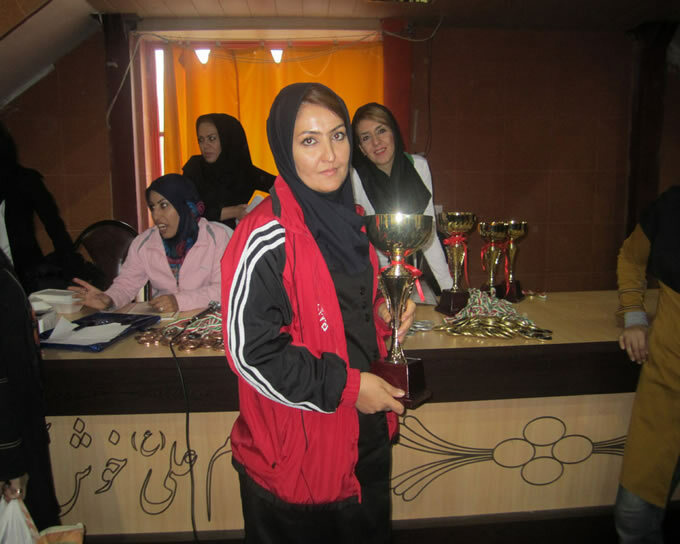 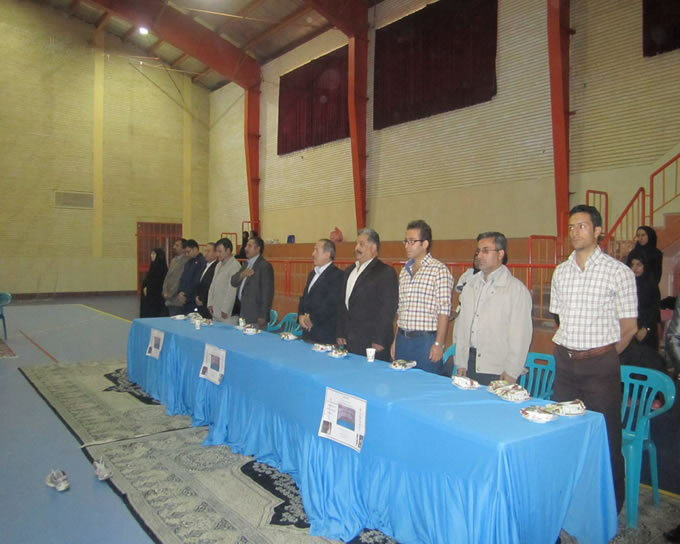 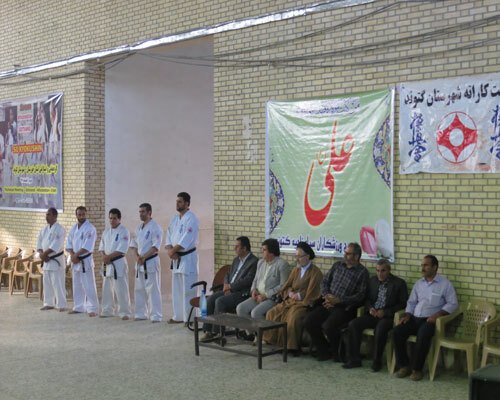 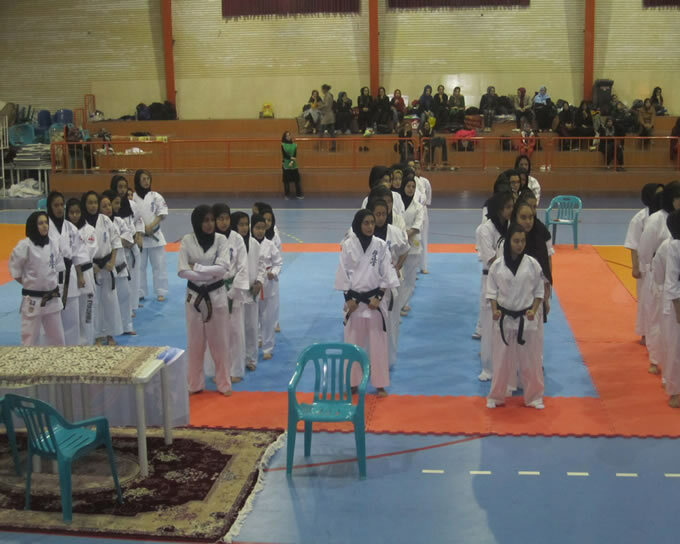 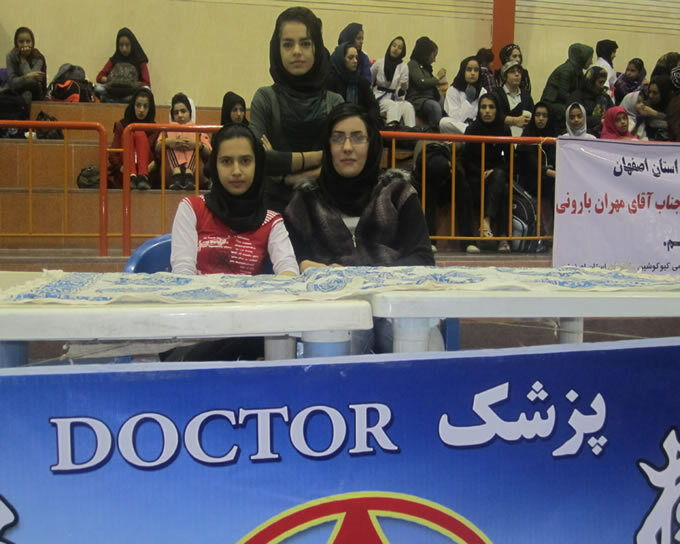 Iran Sokyokushin Karate Technival Meeting on OCT24 in Khouzestan Povince-Iran that held with Shihan Vahid Bahraman. 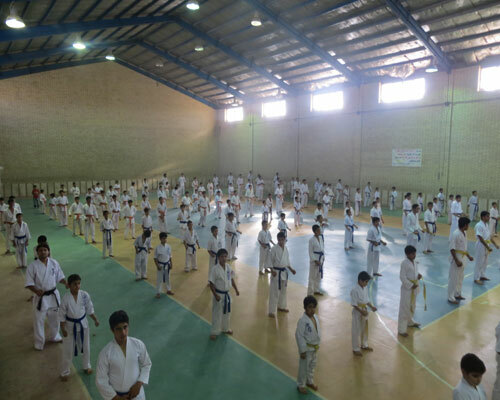 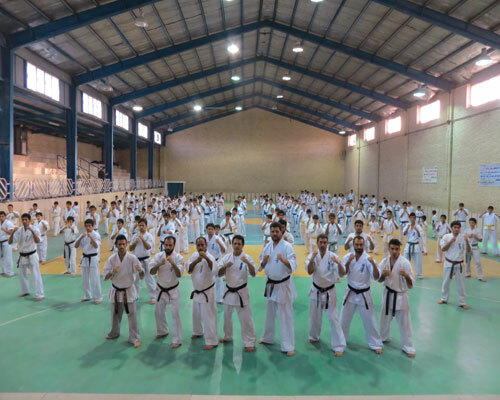 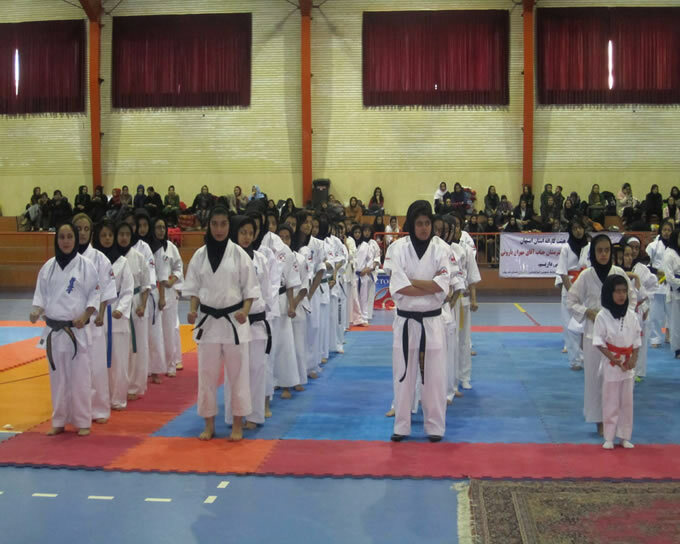 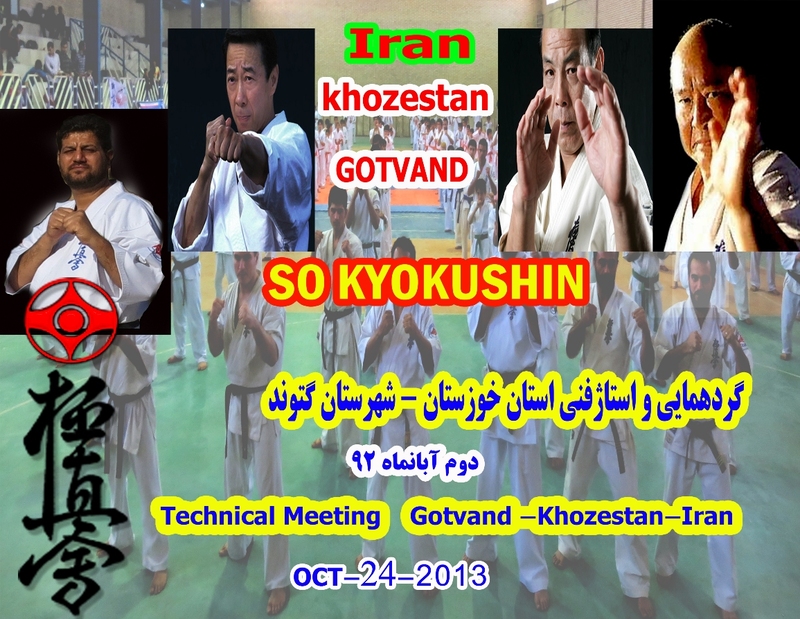 We hereby proudly announce that IRAN SO KYOKUSHIN KARATE going to be ready for Technical Technical Stage of SOKYOKUSHIN Sportsman and Sportswomen athletes will be held in southern Iran on OCT 24,2013 in Gotvand City-Khouzestan -IRAN. 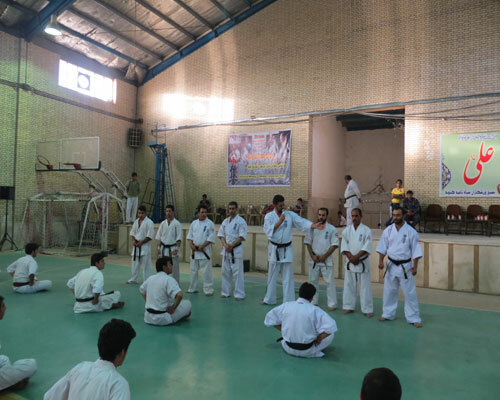 We are try to teaching and refreshing our Sokyokushin Members in all of the Categories .in order to,Fortunatly today, Iran SoKYOKUSHIN KARATE is the strongest and best karate Team between all other styles in Iran national Karate Federation and we try to keep our Position in IRAN and MIDDLE.EAST. 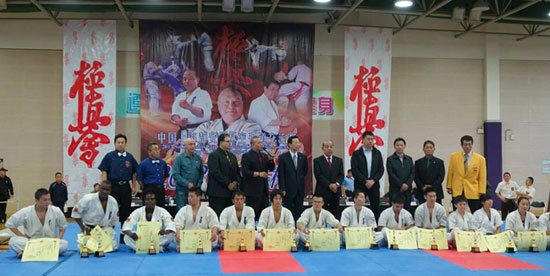 We held the 9 th Sosai Oyama Memorial Open Championship.